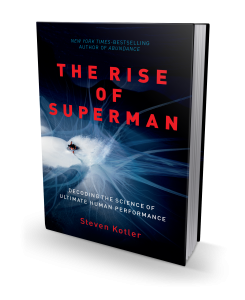 In this groundbreaking book, New York Times-bestselling author Steven Kotler decodes the mystery of ultimate human performance. Drawing on over a decade of research and first-hand reporting with dozens of top action and adventure sports athletes like big wave legend Laird Hamilton, big mountain snowboarder Jeremy Jones and skateboarding pioneer Danny Way, Kotler explores the frontier science of “flow,” an optimal state of consciousness in which we perform and feel our best. At its core, this is a book about profound possibility; about what is actually possible for our species; about where—if anywhere—our limits lie. 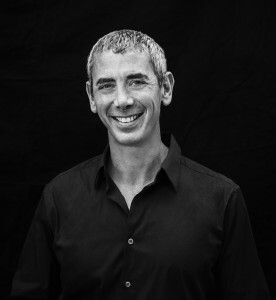 Steven Kotler is a bestselling author and an award-winning journalist. His books include the non-fiction works: Abundance, A Small, Furry Prayer, and West of Jesus, and the novel The Angle Quickest for Flight. His articles have appeared in over 60 publications, including: New York Times Magazine, Wired, Discover, Popular Science, Outside, GQ and National Geographic. He writes “The Playing Field,” a blog about the science of sport and culture for PsychologyToday.com. Kotler is also the co-founder and director of research at the Flow Genome Project, an international organization devoted to putting flow state research on a hard science footing, and the co-founder of the New Mexico-based Rancho de Chihuahua dog sanctuary. He has a BA in English/Creative Writing from the University of Wisconsin, Madison and an MA from the John Hopkins University in Creative Writing.